India's third largest two-wheeler manufacturer, TVS Motor has introduces the new long awaited version of TVS Max 4R in Jaipur with the attractive price tag at Rs. 37,590 (ex-showroom, Jaipur). The based model of TVS Max had been phased out in 2005 due to new Bharat Stage emission norms. The new TVS Max 4R is already getting wonderful response from the Indore, where it was launched in few month ago. The company has now developed the new MAX 4R with the latest Bharat Stage III emission norms compliant which ensure to offer better fuel efficiency. 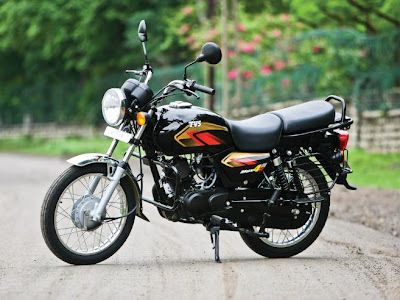 The MAX 4R comes loaded with 4- stroke, Single Cylinder, Air Cooled engine that produces maximum power output of 8,4 Bhp at 7500 rpm and develops maximum torque of 8.3 Nm at 5500 rpm with its 109.7cc displacement. 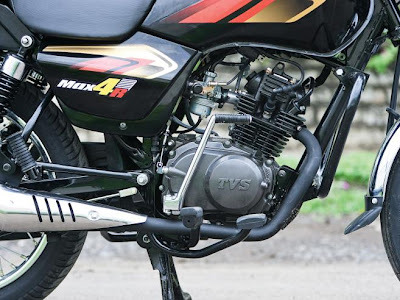 TVS Max 4R will be getting excellent response from the rural market, where most of the sales are coming now, according to demand of heavy bikes for carrying heavy load are growing in the same area. 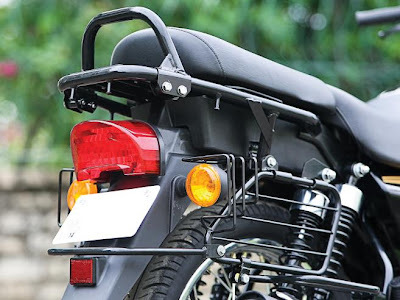 The new avatar of TVS Max has additionally packed with dual suspensions at rear, which supports to take more load on itself. The first pair of Shocks ensure balance and second pair gives support of front suspension. It has a detachable rear seat to offer more space to take more load on it. TVS Motor has designed with advanced eye-catching graphics which may help to attract the buyers. The company claimed the mileage of new Max 4R is around 60 kmpl in city. The new bike might get tough competition with Bajaj Discover, Hero Honda CD Deluxe, Honda Twister, Hero Honda CD Down, Bajaj Platina and Mahindra Stallio. The company presently selling a huge number of 110cc motorcycles such as TVS Jive (auto-clutch motorcycle), TVS Star Sport, TVS Star City and TVS Wego (auto gear scooter).